The Rapid Inferno from Dunlop are designed for indoor use and ensure improved stability thanks to an anti-torsion shank, as well as durability and lightweight comfort due to a hi-poly insole. These stylish shoes are best suited to players searching for a great feel and long lasting performance and feature a phylon midsole and the Dunlop Performance rubber outsole for enhanced traction. Additionally, the AEGIS Antimicrobial lining helps to fight bacteria and keep the shoes fresh for longer, while the Anti Drag Zone delivers great stress and abrasion resistance. 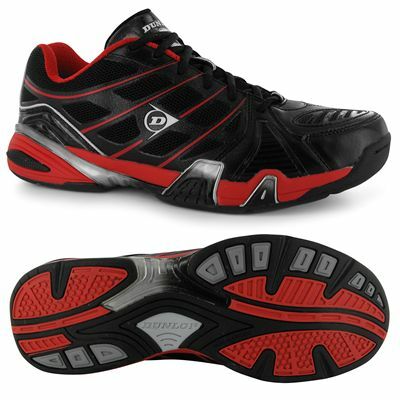 for submitting product review about Dunlop Rapid Inferno Mens Court Shoes.